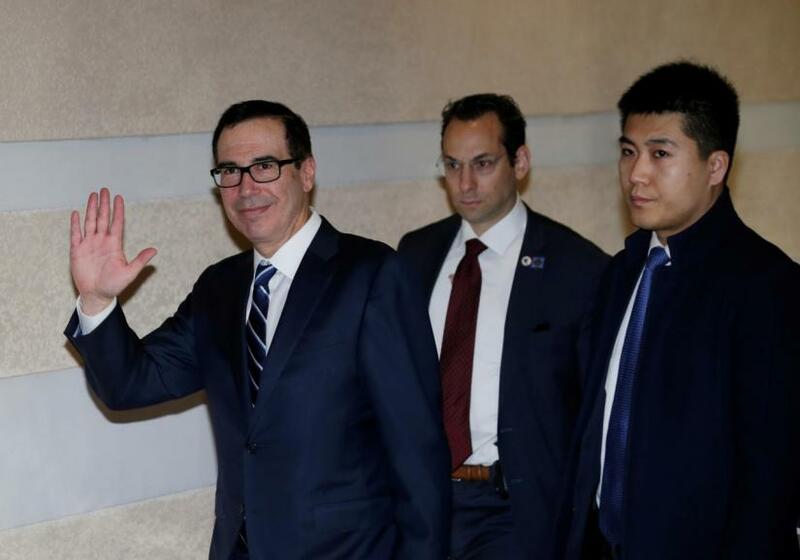 US Treasury Secretary Steven Mnuchin said he was looking forward to trade talks with China on Thursday, as discussions in Beijing moved to a higher level in a push to de-escalate a tariff war ahead of a March 1 deadline for a deal. He and US Trade Representative Robert Lighthizer opened the meetings shortly afterward at the Diaoyutai state guest house with Chinese Vice Premier Liu He, the top economic adviser to Chinese President Xi Jinping. Chinese Foreign Ministry spokeswoman Hua Chunying said she noted Trump had said many time he wished to meet Xi, and that China was willing to maintain "close contact" with the US side, but said she had no information to share on any visit by Xi.